Plaza Apartments before renovation began. Frontier Property Management purchased the 19-unit courtyard apartment building in Southwest Garden to renew its historic charm while making long-deferred repairs and improvements. 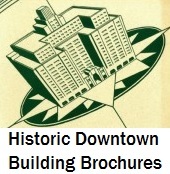 Working with architects at Levine Associates and the Preservation Research Office, Frontier developed plans for upgrading the units and restoring neglected historic features like millwork and hardwood floors. The project included new systems, modern kitchens and bathrooms and restoration of hundreds of square feet of beautiful hardwood floors. 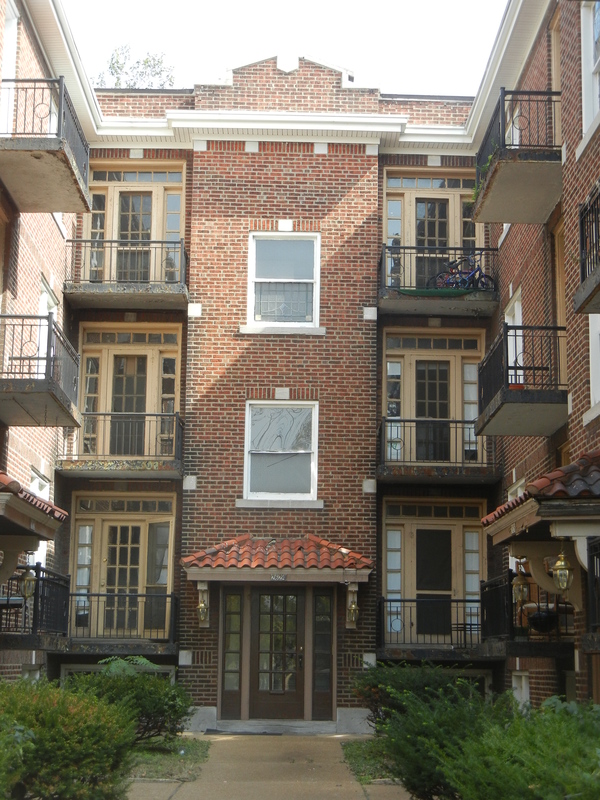 The three-story apartment building at 2622 S. Kingshighway Boulevard is part of the fulfillment of the significant development of a middle-class residential suburb around the Missouri Botanical Garden. Built in 1924 and designed by Walter F. Sheehan, the building was developed by builder-developer Glen-Eyrie Investment Company. The Shaw’s Garden Historic District (NR 2012) is located in the southwest part of the city of St. Louis, Missouri and is locally significant for is contribution to the physical expansion of the city, and for its embodiment of urban planning principles. The District represents the fulfillment of the desire of the Missouri Botanical Garden under Director George T. Moore to improve its surroundings through subdivision of property bequeathed to the Garden in the will of Henry Shaw, and the clear vision of suburban development advanced by the Garden’s long-time landscape architect John Noyes. The resulting landscape is a rare realization within the city limits of progressive suburban planning ideals implemented in contemporary landscapes in St. Louis County. The District encompasses 18 city blocks built out largely between 1916 and 1955 as a cohesive residential streetcar-served neighborhood embodying progressive concepts in suburban planning influenced by local subdivision plans by landscape architect Henry Wright as well as national ideals.